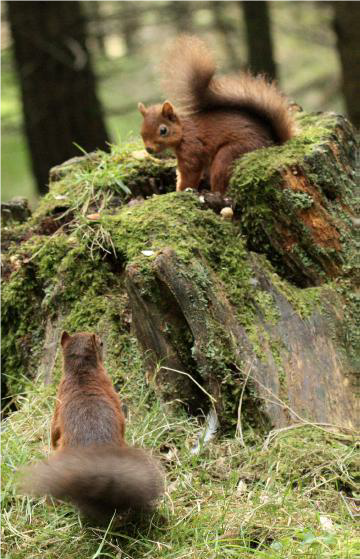 The mid Wales forests are a hive of activity as red squirrels prepare for winter, burying surplus nuts and seeds for harsher times in caches. 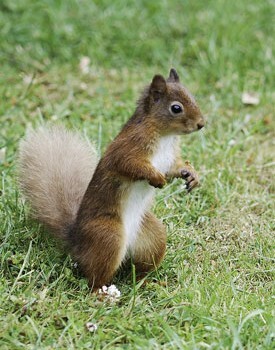 Red squirrels have quite a talent for food preparation, and have been known to dry out fungi in tree crevices; dried fungi produces a more nutritious meal. 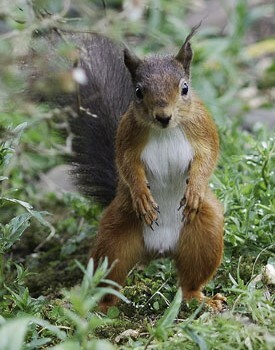 Red squirrels don’t hibernate over the winter months, although activity can be much reduced in very cold weather. Winter preparations include making sure that their dreys, a series of nests made from intricately woven twigs with an internal moss-lined chamber, are sturdy and warm enough to see them through the winter. 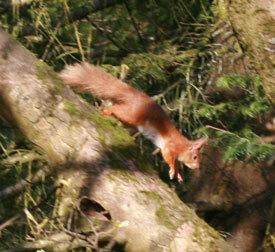 Read more>> including a Pine Marten update. 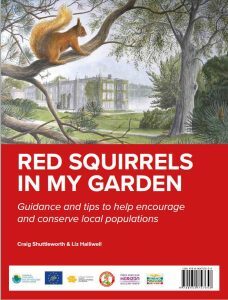 Penrith & District Red Squirrel Group is now a victim of its own success. 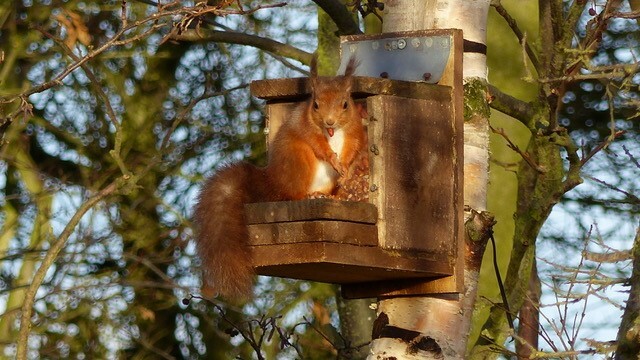 We are delighted to have resident red squirrels across the whole of our managed area of 650 square miles covered by our contracted Rangers and their supporters. There is little doubt that without the Rangers’ work, reds would have all but disappeared. However this success comes at a huge annual cost and we really are struggling to raise the £120,000 a year needed to keep this up. 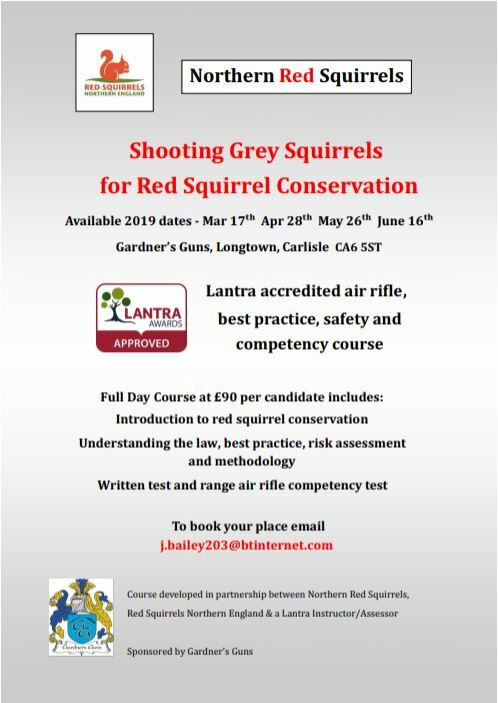 Well, Spring has finally arrived, it’s been a long time coming, but the sunshine is eventually making itself known, the leaves are budding, and squirrels of all types are preparing to go forth and multiply!